Sterling Silver Large Eagle Pendant on Sterling Silver Chain. Announcement I handcast all my pieces using the lost wax casting method. I use gold, silver and platinum with Diamonds, Ruby, Emerald, Sapphire, Opal and other stones. Please make requests, I have many more designs that I am not showing yet and am constantly making more. I make both Original designs and Antique reproductions. Call with requests or questions 831-476-3176 or please send Conversations. I make my jewelry in my shop in Soquel, California. I have been in business making Jewelry by hand lost wax casting since 1973. Gold and Platinum are sent USPS insured in the United States. Jewelry that I send to your country may be subject to customs duty. I send items USPS First Class unless otherwise directed. I send as soon as I can, usually in one to two days. I do shows and am out of the shop quite a bit. Some gold items are ready to ship but most I make to order as shown in listing. 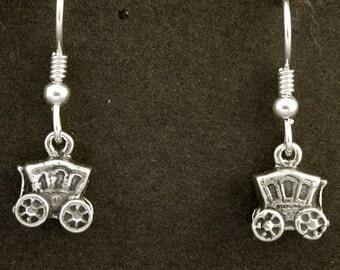 When I list a Sterling Silver item, it is made and ready to sell. If it is sold before you order I will let you know and you have the choice of giving me the time to make another or to refund your money if you don't want to wait. I want satisfied people wearing my jewelry. I handcast all my pieces using the lost wax casting method. I use gold, silver and platinum with Diamonds, Ruby, Emerald, Sapphire, Opal and other stones. Please make requests, I have many more designs that I am not showing yet and am constantly making more. I make both Original designs and Antique reproductions. Call with requests or questions 831-476-3176 or please send Conversations. I make my jewelry in my shop in Soquel, California. I have been in business making Jewelry by hand lost wax casting since 1973. 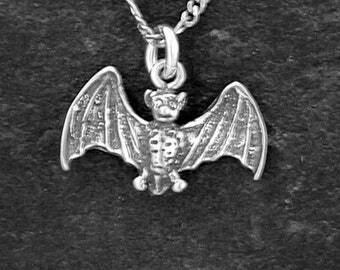 Sterling Silver Bat Pendant on a Sterling Silver Chain. Sterling Silver Warthog Pendant on a Sterling Silver Chain. Sterling Silver Scorpio Scorpion Astrology Pendant on Sterling Silver Chain. 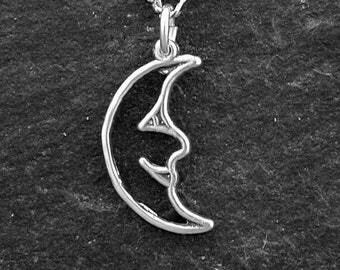 Sterling Silver Fox Head Pendant on Sterling Silver Chain. Sterling Silver Sea Star Pendant on a Sterling Silver Chain. 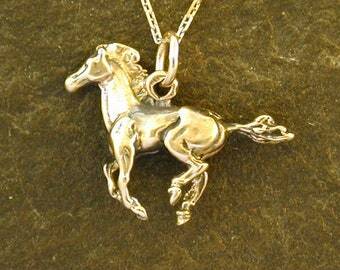 Sterling Silver Buck Deer Pendant on a Sterling Silver Chain. Sterling Silver Moose Pendant on Sterling Silver Chain. Sterling Silver Dinosaur Apatosaurus Brontasourus Pendant on a Sterling Silver Chain. Sterling Silver Small Cobra Pendant on Sterling Silver Chain. Sterling Silver Witches Hat Pendant on a Sterling Silver Chain. This pendant is beautiful; great size and weight for everyday wear and as an ocean lover it really speaks to my soul. Awesome communication from the seller and amazingly fast shipping/ delivery. Great experience. Highly recommend. Sterling Silver Wave Pendant Ancient Japanese Design on Sterling Silver Chain. Undamaged returns within 10 days get full refund except shipping. I take all the regular cards. Californians pay 8% sales tax. Unless otherwise stated, I ship USPS First Class. Orders shipped to the U.K. are sometimes transferred to the Royal Mail for delivery and U.K. residents may incur an additional Royal Mail charge in addition to VAT.